I am on a mission…..find all of the restaurants in the area that offer deals for families with children. 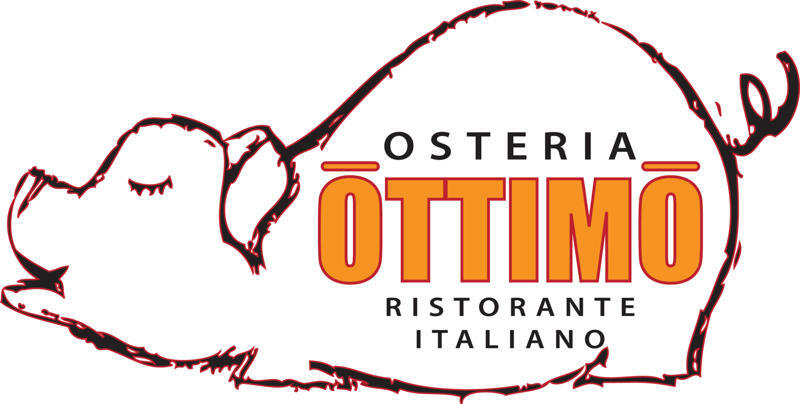 We are lucky to have a plethora of dining choices here in Orland Park and my family dines out about once or twice a month. I have found that a few of our local restaurants offer a “Kids Eat Free” day. I love me a deal, so I was stoked. We had to start somewhere and chose a place where we have dined many times before and love. They happen to offer that very deal (kids eat free) on Sundays. They only offer this deal on Sundays but don’t try to get in for lunch as they do not open until 4:30pm on this particular day (We found this out the hard way). Their kid’s menu is small but seems to make my kids, who usually order pasta or chicken strips anyway, happy. 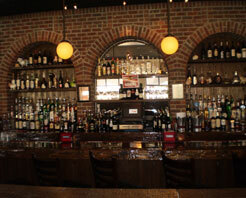 Every time we have come here, both the service and the food have been excellent. I was a bit worried when I heard that there was a new manager because I really liked the one they had before who was friendly and made you feel at home. The new manager, Patrick Scully, seemed to be doing just fine. We were seated within a few minutes of arriving and the waiter came right over. He was very helpful and didn’t look frightened at all of my rambunctious brood at the table. I love that the dining room was filled with voices and I did not feel I have to hush the kids if they happened to get loud, which they always do. Before our dinner was served, out came the warm, crusty italian bread with herbed butter that we love. I had to keep myself from having more than one slice because I wanted to save room for dinner. The kids helped me stick to this plan by devouring the entire thing before I could even have the option. I ordered the Fettucine Fra Diavolo (spinach fettuccine with shrimp, calamari and crab in a very spicy tomato sauce…yahuuum) off of the specials menu ($25) and my husband ordered the Chicken Marsala ($17). My eldest son opted for the Traditional Ravioli ($15)and the three others went with the kid’s menu and ordered Buttered Rigatone (free) and Chicken Strips with Fries($7 and one free). Two of the kids meals were on the house with this promotion that offers one free kids meal with each adult dining. There were no complaints as everyone polished off their dinner plates and we moved on to dessert. The kids chose chocolate and vanilla gelato (included with their kid’s meal) and I had the pistachio which I always order and every time am glad that I did. 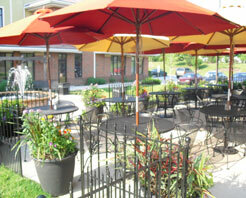 We have even visited during the warmer weather for only dessert and sat in their lovely outdoor patio area. The restaurant offers other specials during the week such as Family Style Spaghetti and Meatball Dinner on Tuesdays and Lasagna Night on Thursdays. Maybe we will go back for one of those next. 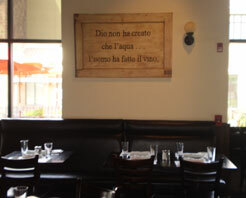 This entry was posted in Deals and Sales, Family, Food, Kids Eat Free!, Local Businesses, Uncategorized and tagged deals, Food, italian, Kids eat free, Orland Park, Ottimo, Restaurant. Bookmark the permalink. 4 Responses to Kids Eat Free! Yay! thanks for the tip! I’m always looking for new kid-friendly places. Anytime, Ruba! Keep checking back, I will be posting a kid-friendly local place every week from now throughout the Summer.